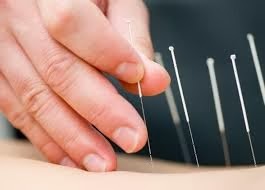 Acupuncture is an ancient chinese practice used for thousands of years to restore balance and equilibrium to the body by triggering the body’s natural defenses to heal itself. More recently, it's become a part of western medicine and only gaining popularity. Shelly Dainty, LAc, of Dainty Acupuncture in Los Angeles lent her expertise to help with this article about it's safety, uses, and efficacy. She has generously offered a list of suggested reading and additional resources to assist you in finding a licensed acupuncturist. Feel free to contact Shelly as well at shelly@www.daintyacupuncture.vpweb.com,or to visit her website at www.daintyacupuncture.vpweb.com.